A view of Dhirang town from our Hotel. 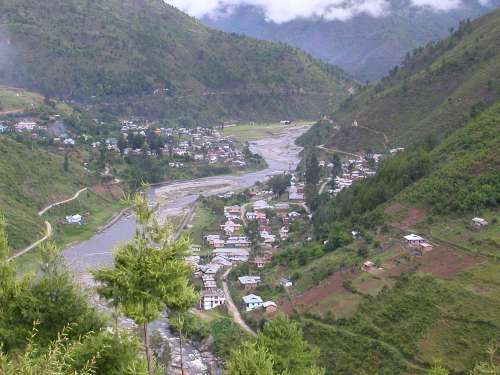 Yes,Dhirang is picturesque, and i have fond memories of our visit there. Glad you liked it,Anne. Who could resist the beauty of the homes perched on the hillsides - in fact, the entire picture is one of great beauty and draws one into it. Beautiful picture!!! Yes,it is indeed a great place. The walk to the town is also good. Thanks. Beautiful setting with the river running through the mountain valley.